HE LORD SAYS TO US, through the Prophet Joel, “Rend your hearts, not your garments” (Joel 2:13). To understand that command, we first have to know that the word “rend” means to tear something apart by force. The second thing we have to know is that the “rending of garments” was an action that meant something specific in Biblical times. When someone rent their garments, they did so to signify their grief. One might have rent garments at the death of a relative or upon news of some terrible misfortune befalling one’s family. We see an example in the Book of Job. Upon hearing that he has lost his entire livelihood and all his sons and daughters, we read: “Job arose and tore his cloak and cut off his hair” (Job 1:20). In times like these, people would “rend their garments” as a sign to all around them that they were experiencing grief. The Lord directs us: “Rend your hearts, not your garments.” We ought to tear open our hearts out of grief for our sins. Opening our hearts is something that we are often hesitant to do. We like to be intensely private about what’s really going on inside. But the Lord is asking us to go against that inclination. He is telling us to open up—to lay our hearts bare before Him. This is the essence of Lent. 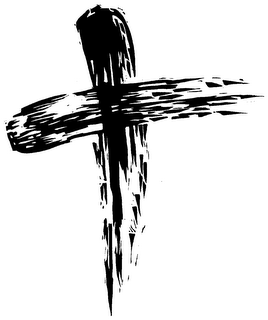 Lent is not an Ironman competition to see how much we can do for God. It’s not about being miserable. It is not a season of Catholic group weight-loss. Lent is a time to “rend our hearts”—an occasion to come before the Lord with open hearts and to invite Jesus to bring His healing Presence there.